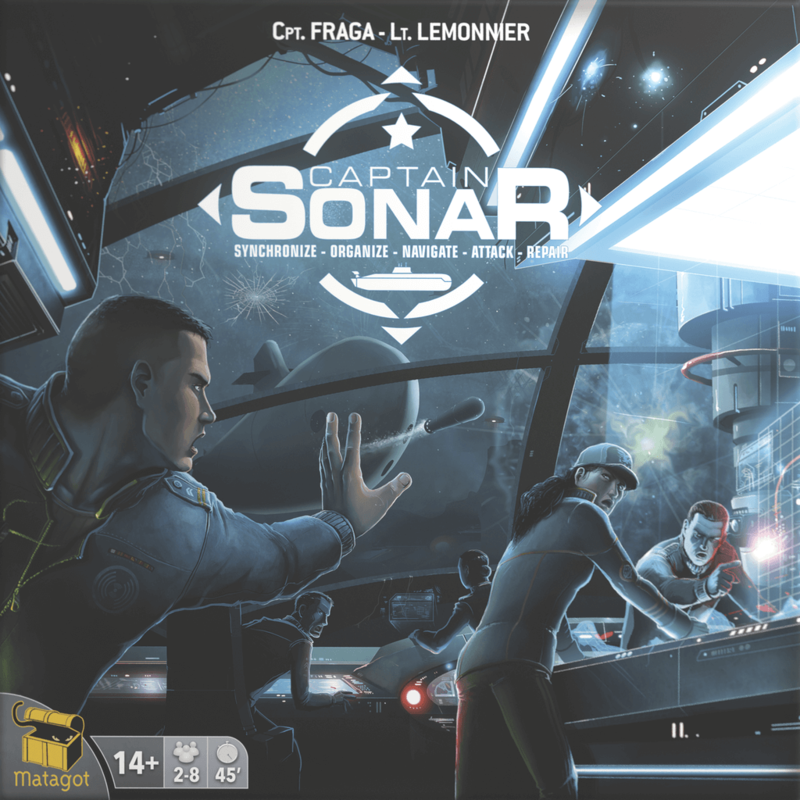 Captain Sonar is an innovative real-time game, in which two teams aim at locating and destroying their opponent’s submarine through an epic battle. Each team represents the officers aboard the submarine and each player has a vital role to play. One player takes on the role of the Captain, who sets the submarine’s course and decides when to strike. The First Mate is responsible for the ship’s systems, from the torpedoes to the stealth drive, while the Engineer has to keep the submarine and its systems fully operational. Finally, there is the Radio Operator, who marks the location of the enemy submarine, giving you the chance to open fire! Captain Sonar includes five unique scenarios, each one with different maps and different configurations of islands, as well as a variety of rules. You may engage in a silent battle deep beneath the ice, unable to surface and repair your submarine without taking any damage. Or you may enter an abandoned minefield, where every narrow passage is dangerous and you can hijack neutral mines to destroy your opponent’s ship. Moreover, there are two separate game modes. You can play a turn-by-turn mode that allows the Captains to take turns giving orders, each waiting for the opposing team to act before their turn begins. You can, also, play a simultaneous real-time mode that allows both Captains to act as fast as they want. Captain Sonar is a thrilling game inviting you in a world of underwater battles, where good communication and teamwork are of great significance in order to get to victory. If you fail, you will be sunk to the bottom of the ocean! It is worth noting that Captain Sonar was one of the games which really drew a lot of attention and excitement at Gen Con, and it sold out really fast!